Let’s Work To Keep The Welcome Mat Out For Everyone! The Aircraft Owners and Pilots Association (AOPA) opposes egregious fees charged by fixed base operators, and wants to ensure access, fair pricing and transparency at all public airports. Contrary to the opinion of some people, AOPA is not out to control prices! Some large operators charge high fees because they have a monopoly on the field. Other large operators may charge high fees to keep small aircraft off their ramps, as they cater to corporate jet traffic. All operators need to charge enough to cover expenses and make a reasonable profit. It would be sad to think that a pilot cannot top off his tanks every time he lands at an airport because the flight center is charging exorbitant fuel prices. But at least we should have the option of parking our aircraft somewhere on the field without being charged excessive ramp fees. Self-fueling and a designated parking area away from the main ramp may be an option. Excessive fees could be grounds to enforce grant assurances at those airports which have accepted federal Airport Improvement Program (AIP) funding, but the Federal Aviation Administration (FAA) may feel that flight centers have the right to charge whatever they want, regardless. 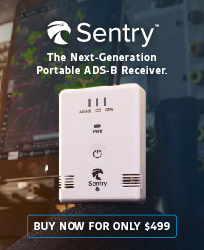 How can the FAA require that all aircraft be equipped with ADS-B equipment in controlled airspace, but does not require flight centers at public airports affected by ADS-B to charge reasonable fees and ensure access? I recently flew to an airport and was totally caught off guard when the flight center charged me a $65.00 ramp fee for my Cessna 182 Skylane, on top of high fuel prices, even though I was there for less than an hour. Whether I was there for 5 minutes or 24 hours…whether or not I bought fuel…and whether or not I was flying a Cessna 182 or a Gulfstream IV, the same $65.00 ramp fee applied, which is highly unusual. This was no fancy place, either. The faucets in the restrooms were not even gold plated, but the flight center has a monopoly on the field. I want to thank the thousands of fixed base operators, flight centers and airports across the country that do not charge a ramp fee, or if they do, a nominal fee based on the weight of the aircraft, which is generally waived when pilots buy fuel. Fair fuel prices are also very much appreciated. Read more on this topic immediately following this editorial. This entry was posted in Columns, Columns, Dialogue, October/November 2018 and tagged Aircraft Owners and Pilots Association, Dave Weiman, Midwest Flyer. Bookmark the permalink.